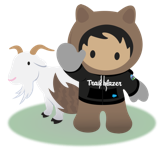 Join us in Chicago for the Salesforce Basecamp for Manufacturing event. You will also hear a panel of customers share their own stories and sessions on accelerating channel management and delivering intelligent field service to bring your digital transformation to life. Network with hundreds of Trailblazers at the manufacturing event of the year. We look forward to seeing you there!